Keeping warm is a priority during the winter in North Bay, Ontario. The region can experience several weeks of bitter cold and subzero temperatures at the height of winter. These are dangerous temperatures that pose a risk of hypothermia and other conditions that result in injury or even death. Within the home, the furnace or boilers provide a source of heat, which is then transferred throughout the house. In some cases, homeowners may have a gas fireplace for additional heating as well as aesthetic purposes. Heating and Cooling Repair North Bay provides heating systems installation and repairs to ensure our customers have reliable, consistent access to heating at any time. Stay warm and cozy indoors with a high efficiency furnace, boiler, or gas fireplace. Our technicians can help make sure you have adequate and functional heating for your home whenever the drop in temperature calls for it. The furnace provides high temperature heating for your home. This can come in handy throughout the year, although it is particularly important when the temperatures outside start to drop. In order to heat your home and maintain a comfortable indoor temperature during winter months, you need to ensure that your furnace is in good working condition. Often, homeowners put off furnace repairs until the problem becomes much more serious. This is a bad practice that can wind up costing you more money than timely repairs and routine maintenance. At Heating and Cooling Repair North Bay, we offer fast and affordable heating repair services so you can get the professional assistance you need, whenever you need it. Whether it is a sudden emergency or a minor issue that is causing you inconvenience, you can count on us to be there swiftly and fully prepared to assist you. Even on the harshest winter days, our technicians will be there to provide 24/7 emergency service. Make sure you don't find yourself without heating unexpectedly. 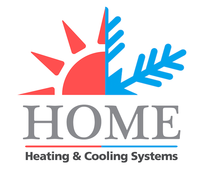 Give us a call for professional HVAC installation and repairs. In larger spaces, your heating system may struggle more to keep the whole area warm. Usually this is noticeable in living rooms or open basements. To help warm up a cold space more so that your family can relax and enjoy a cozy environment, gas fireplaces are an ideal solution. Not only can a fireplace create a focal point for a room and add an attractive feature to the home to make it more desirable, it can often quickly and effectively heat a large space. For gas fireplace installations or repairs, contact Heating and Cooling Repair North Bay. We can send qualified technicians to assist you with any heating or cooling problems and concerns to make sure that you are able to maximize the efficiency and performance of your HVAC, furnaces. Boilers, gas fireplaces, ventilation, and more. Many homeowners rely on us for both everyday repairs and common issues, as well as 24/7 emergency service.